We went trapping Wednesday night and were joined by Daniel Hargreaves and his to harp traps and lures.This meant we had four of them to set up. It was a steady evening at first and we caught pipistrelles, Natterer’s and Brown Long Ears. 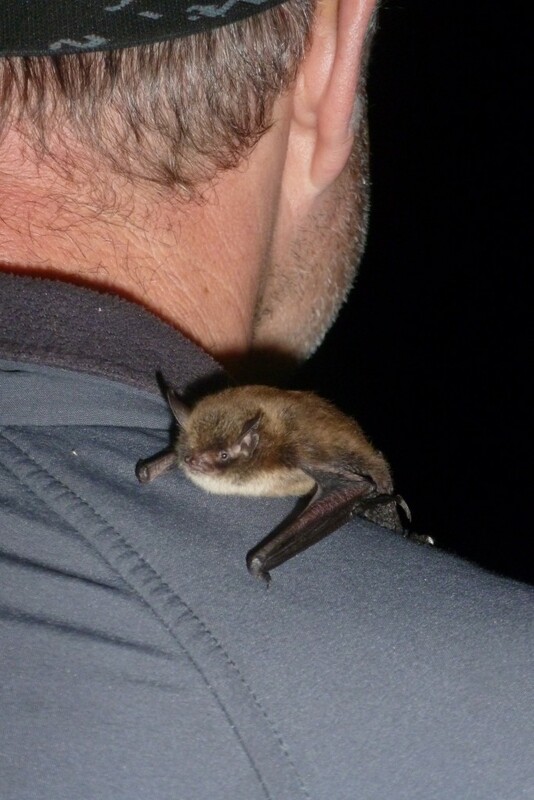 As the night drew on we were delighted to catch a Brandt’s bat. Once we had processed it , it was not keen to fly, but was happy to scuttle up Danny’s arm and make his way onto his back, as you can see in the photo below. After a while the bat took off and flew back into the night. Whiskered and Brandt’s are not easy to tell apart, but Daniel and Bob agreed their ID and we collected a dropping for DNA analysis. Danny was dead chuffed as he had never seen either bat before) It was 3 am by the time we got home. 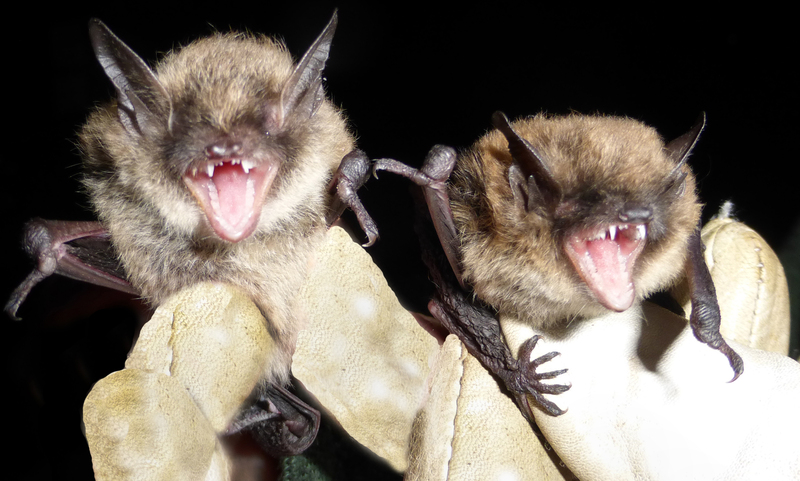 This entry was posted in Uncategorized and tagged Brandt's bat, whiskered bat. Bookmark the permalink.